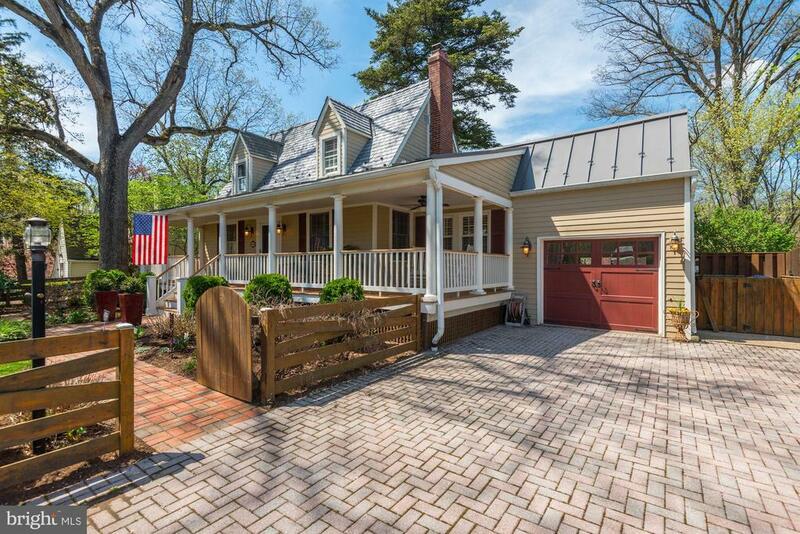 This thoroughly charming home is situated on one of the most beautiful 1-acre properties inside the beltway. The large gorgeous properties don’t stop with this one. The next 2 neighbors, on each side, have 1½ acres or more, and have sold for as much as $2,650,000. If you have a dream for a house like this, it could be years before you see another like it. 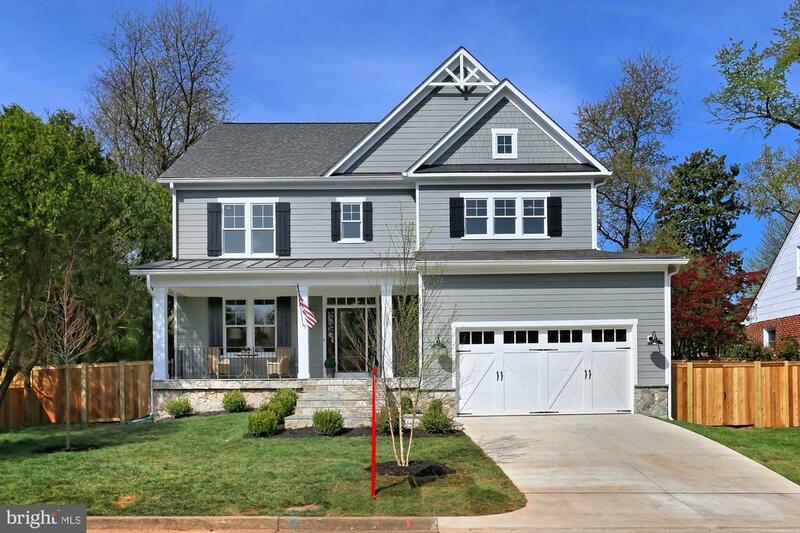 Beechwood Lane is one of the most desirable streets inside the beltway. From the entire main level living area to the lower level Recreation Room, the floor plan is gracious, inviting, and flows as beautifully for entertaining, as it does for comfortable family living. The enticing outdoor patio and gorgeous backyard adds to that flow by making the outside an integral part of the house. You will not find a more gracious home in terms of the property, the house, and the location. This home is in immaculate move in condition and has been cosmetically updated. Potential updating can be done at your leisure, as you enjoy the gracious living, lifestyle, and environment, this home has to offer. The house boasts bright sunshine throughout, a beautiful main floor Family Room off the Kitchen, a huge separate Dining Room, a huge Recreation Room on the walk out lower level, 2 driveways, and a 2 car garage. Sleepy Hollow Manor is one of the most sought-after neighborhoods in the area, and this home is one of the more outstanding in Sleepy Hollow Manor! The house is situated on a quiet cul-de-sac with a beautiful and inviting cathedral ceilinged screen-in porch addition overlooking the private backyard. There is an attached MASTER BATHROOM, which many of the homes in Sleepy Hollow Manor do not have. It has been thoughtfully updated and remodeled throughout, including the mid-century modern kitchen with metal cabinets and granite counters. A second full kitchen downstairs enhances entertaining throughout the house for large family gatherings or general entertaining in the grand family room area. The house boasts: Beautiful energy efficient Pella wood windows, hardwood floors throughout the main level except the kitchen, a charming deck, 6 panel interior doors, and a lower level 4th bedroom with legal egress. The walk-up attic is un- finished but is fabulous for storage, but has the potential for easily adding more bedrooms, playrooms, and a bathroom, as many of the homes in the area have done. shopping centers with supermarkets, restaurants, and retail stores. A picture-perfect gem located in an extraordinary section of the Sleepy Hollow area which is practically surrounded by Fairfax County parks. Access to the parks, which have miles of trails and other facilities, is less than 500 feet from the house. The entire house has been updated throughout, including the kitchen and baths, and is in immaculate move-in condition. With the exception of the kitchen, gleaming hardwood floors cover the main level, and are in perfect condition. The house boasts an attached master bath, a carport, a dining room with sliding glass doors to access the backyard and patio, and a very quiet neighborhood which has no through traffic. Neighbors love the neighborhood as evidenced by the comments from neighbors on the bulletin board in the kitchen. This special property is just .4 miles to Metrobus, less than 2.1 miles to 495, and very close to multiple shopping centers with supermarkets, restaurants, and retail stores. Giant is just 1.1 miles. 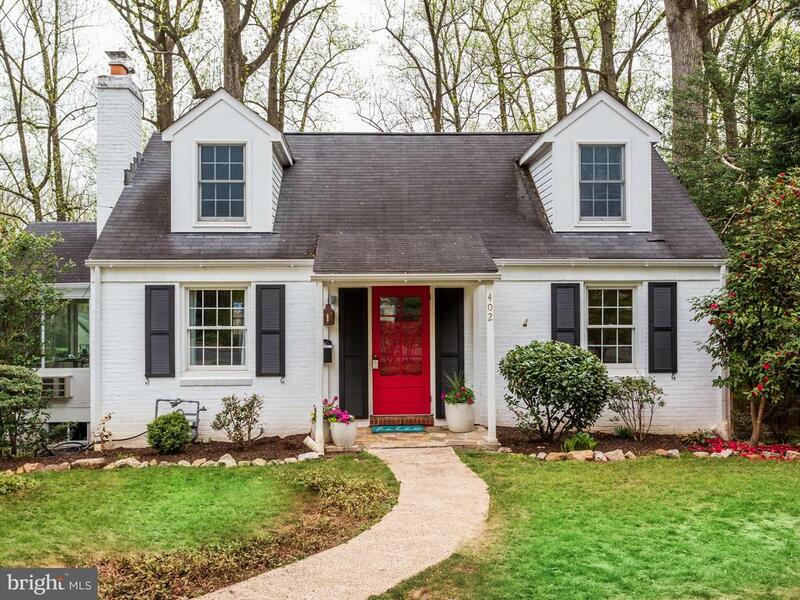 A picture-perfect gem located on a cul-de-sac in an extraordinary area of Sleepy Hollow which is practically surrounded by Fairfax County parks. Access to the parks, which have miles of trails and other facilities, is just 1000 feet from the house. Curb appeal doesn’t get much better than this, but it doesn’t stop at the curb. The entire house has been beautifully expanded, updated, and remodeled. It is in immaculate move in condition. The large gourmet kitchen is like few others you will ever see in this price range. Top of the line equipment including 2 Ovens, 2 Sinks, & 2 Dishwashers, are complemented by a 5-burner gas stove, a warming oven, and many other amenities. But it doesn’t stop there. The addition, which includes the expanded kitchen, a huge breakfast room, and an adjoining gorgeous family room, makes this home outstanding for entertaining and comfortable family living. The entertaining is enhanced with a wet bar in the breakfast room. The house boasts a fenced in backyard, gleaming hardwood floors throughout the entire main level, replacement windows, an attached master bath, a high end hot tub, and an office with built-ins unlike you’ve ever seen. The sellers have used what was a 5th bedroom as a storage room, but by converting the glass block windows to regular windows, the room would again qualify as a 5th bedroom. 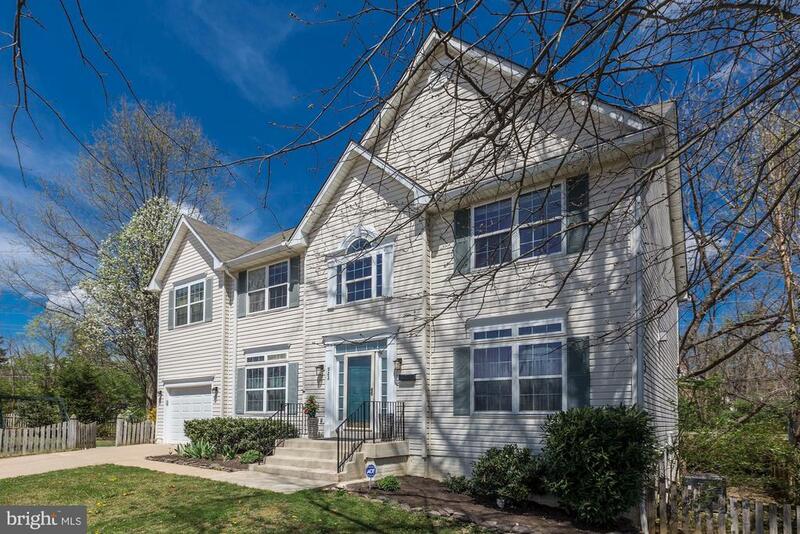 Just 1300 feet to MetroBus, 1.1 miles to Giant and Graham Park Plaza Shopping Center, very close to Seven Corners, Falls Church City, Mosaic, and so much more. of trails and other facilities, is just 1100 feet from the house. condition, and has been beautifully updated and remodeled. Mosiac, and so much more. A spectacular contemporary, unlike any that’s been on the market in this area for several years. 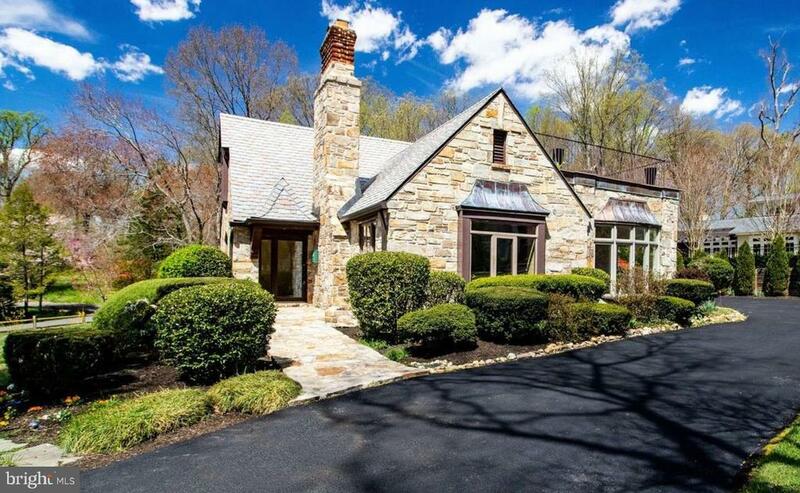 4,281 finished square feet on a very private wooded ½ acre. 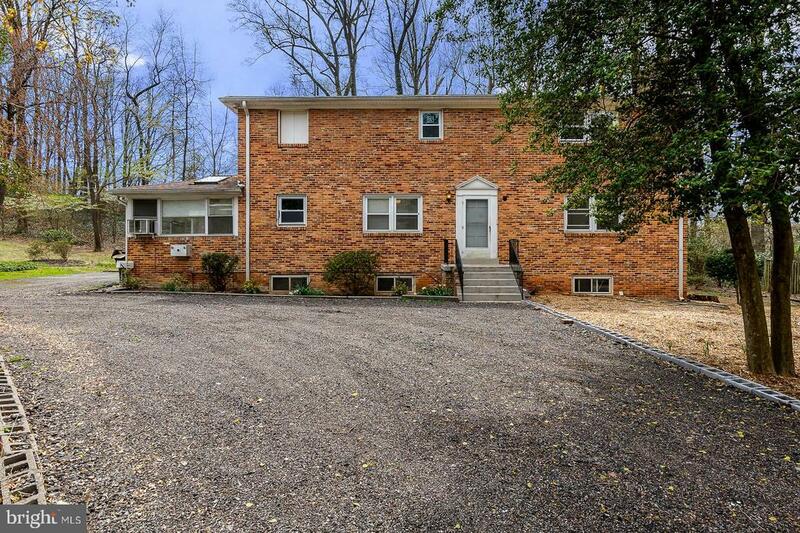 A rare rural setting for Falls Church that is accented by windows everywhere throughout the house, but no window treatments are needed when you have this much privacy! Environmental friendliness starts with 44 solar panels on the roof system that produce sufficient electricity to reduce yearly electric costs by 40%. The gourmet professional kitchen has every amenity imaginable. The property boasts a 3-car attached garage, with 2 driveways, one on each side of the house. A Master Bedroom Suite on each floor, including the main Master Bedroom on the main floor, and an in-law suite on the lower level. Every room has gleaming hardwood floors except the huge family room, which is ceramic tile. There is an additional 600 square feet that is ready to be finished or used for storage in its present condition. Tansey Drive is a very quiet half circle with almost no traffic. The professionally landscaped property backs up to one acre zoning, so when you’re out back, you’re in your own world, with complete privacy. The house was built in 2007 and the gracious floor plan allows the rural setting to become an integral part of the homes interior. A multitude of other amenities exist throughout the house. A short walk to Holmes Run Stream Valley Park with miles of trails for hiking, biking, running, dog walking, etc. Located in Sleepy Hollow Manor, which is one of the most sought after neighborhoods in the area. The house is move in ready, and boasts brand new replacement windows, gleaming hardwood floors on the main and upper levels, a large family room with a fireplace, a separate dining room, an eat in kitchen, a wonderful screened-in porch, all updated fixtures, a level corner lot, an attic offering plenty of storage, and a concrete driveway with room to park multiple cars. Nearby, and walkable, is the Seven Corners Transit Center with direct Metro Busses to EFC Metro, Ballston Metro, Vienna Metro, Tysons Metro, and direct connections to the entire Metro System. 7/10 Mile walk to Metrobus 1A, 1B, 3.12.14A, 4B, 26A, 26B. Shopping, super markets and restaurants, all around! A spectacular contemporary, unlike any that’s been on the market in this area for several years. 4,281 finished square feet on a very private wooded ½ acre. 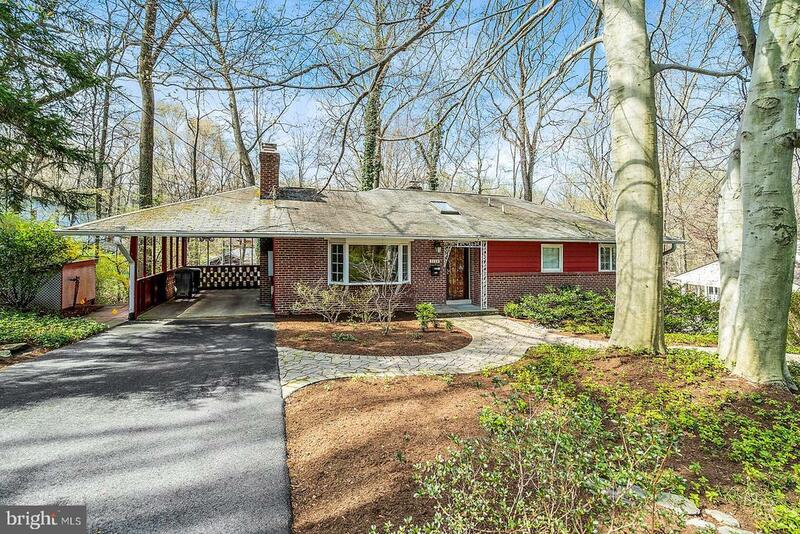 A rare rural setting for Falls Church that is accented by windows everywhere throughout the house, but no window treatments are needed when you have this much privacy! Environmental friendliness starts with 44 solar panels on the roof system that produce sufficient electricity to reduce yearly electric costs by 40%. The gourmet professional kitchen has every amenity imaginable. The property boasts a 3-car attached garage, with 2 driveways, one on each side of the house. A Master Bedroom Suite on each floor, including the main Master Bedroom on the main floor, and an in-law suite on the lower level. Every room, including all 4½ baths, has gleaming hardwood floors except the huge family room, which is ceramic tile. There is an additional 600 square feet that is ready to be finished or used for storage in its present condition. Tansey Drive is a very quiet half circle with almost no traffic. The professionally landscaped property backs up to one acre zoning, so when you’re out back, you’re in your own world, with complete privacy. The house was built in 2007 and the gracious floor plan allows the rural setting to become an integral part of the homes interior. A multitude of other amenities exist throughout the house. A short walk to Holmes Run Stream Valley Park with miles of trails for hiking, biking, running, dog walking, etc. 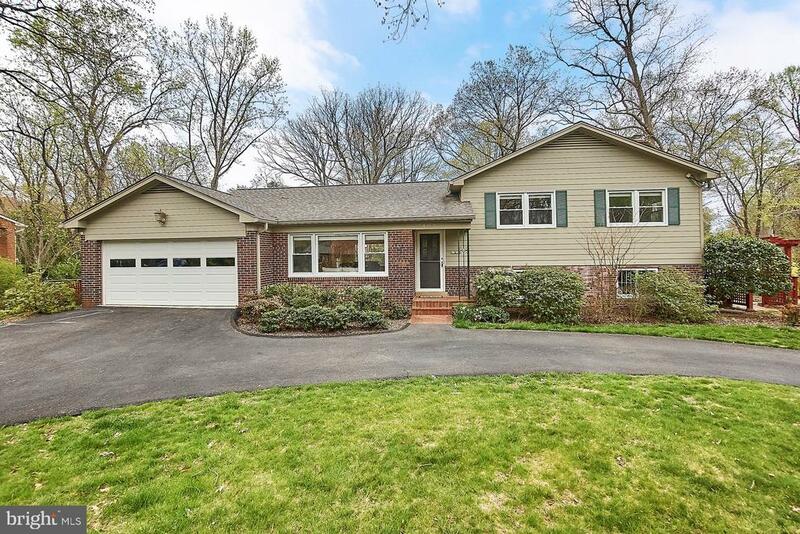 An absolute gem located in an extraordinary section of the Sleepy Hollow area that’s practically surrounded by Fairfax County parks. Access to the parks, which have miles of trails and other facilities, is just 1100 feet from the house. The entire 2,744 square foot house is in immaculate move-in condition, and has been beautifully updated and remodeled. The kitchen has been completely remodeled with granite counters, top of the line cabinets, stainless steel appliances, and a 5 burner gas stove. All the bathrooms have been remodeled, all new interior doors, and the entire main floor is hardwood floors. The house boasts an attached garage, new windows, a fully fenced-in backyard with private panel fencing, and a new HVAC system. There’s nothing to do but enjoy it! Just 3/10 mile to Metrobus, 1.2 miles to Giant and Graham Park Plaza Shopping Center, and very close to Seven Corners, Mosiac, and so much more.